Aging is an ongoing process. It takes place so quietly that we cannot even pursue and then suddenly the symptoms become prominent. Almost all the organs in human body, including skin, undergo aging. The effects of aging are irreversible after a certain age and individuals are bound to accept it. But Premature Aging is never welcome. Most people know that aging will come to attack them some day, but what they do not know is that they can prevent premature aging and delay natural aging by taking few simple skincare courses. 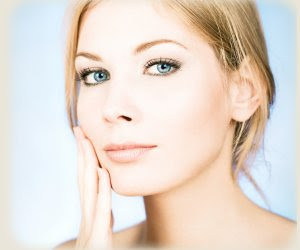 Let’s learn five basic skin care treatments that help you look younger for long, if not forever! Protect your skin from harmful elements as much as possible. Lots of compounds and elements found in the nature are harsh to our skin. To avoid direct or indirect contact with such harmful substances you need to identify them first. Once you know what are not good for your health, you can take better precautions to avoid them. Ultraviolet radiation, soaps and shampoos with much alkalinity, chlorine, excessive makeup etc. often enhance skin aging. You should be careful while dealing with products which may expose your skin to such harmful elements. Skin that has been protected from harsh agents responses positively to any skincare or anti-aging treatment. Cleansing, toning, moisturizing and anti-scaling treatments are the basic techniques need to be performed on a regular basis. Some skin experts and dermatologists suggest doing these routine treatments once or twice every day. Some professionals advise toning only for individuals with oily skin. You can consult an expert to know what type of routine treatment is good for your skin. Your skin may need some special treatments for its wellbeing. Different people have different skin types, hence it is important to identify the nature of your skin. Even your routine skin care may depend on your skin type. So take a skin type identification test or visit a skin specialist to know what type of skin you have. Once you know whether your skin is normal, oily, dry or combination, you can choose better facial skin care for yourself. Skincare changes with age. Human body undergoes various physical changes with age. Though basic skin chemistry remains same, but hormonal changes, changes in metabolic rate, skin cell regeneration rate etc. should be considered while selecting your skin care. That is why the facial products you used in your twenties may not be useful in your thirties! Specific zones on your face may have some particular features. Most people report the t-zone i.e., forehead, temples of forehead and nose to become more oily than other parts of the face. Again the skin around eyes is more sensitive to dryness and easily catches wrinkles. So it is always good to ask your skin specialist whether different areas on your face need special care.